Hiya, guys! Back home from vacation, and it’s time for another MFT sketch! These birds! I die. Love them to pieces! 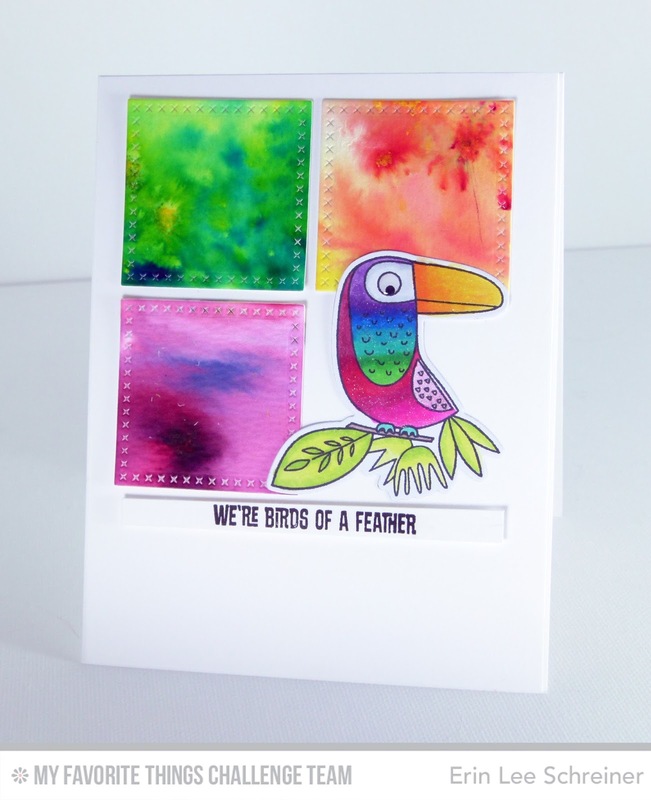 I hope you will join us this week over on the Card Challenges Blog. Play along, won’t you? Those squares look amazing! Is that that color burst stuff? I need some! Love this!